My wee ones have been helping me in the kitchen a lot lately. And eating what we make. I guess you reap what you sow. 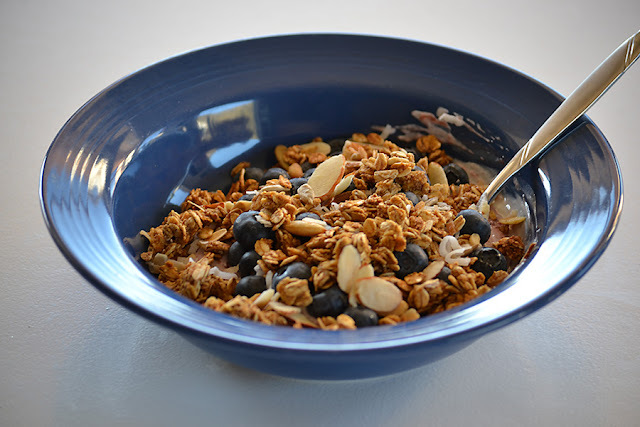 We made homemade granola this past week and the kids have been having it for breakfast everyday. Every. Single. Day. I've been having it every day too. With greek yogurt and blueberries. Yum. 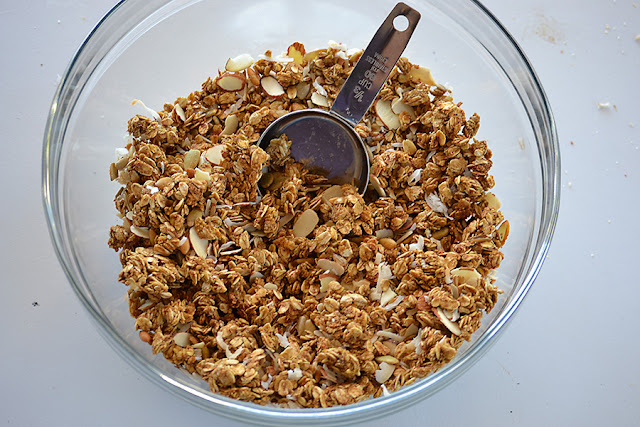 We modified a recipe for Pumpkin Granola from here. We put in less brown sugar and added some milled flax seed. And in addition to roasted pumpkin seeds we also added sunflower seeds, coconut, and slivered almonds. Triple Yum! Chewy has requested that next time we make granola we try a "Peanut Granola." I think homemade granola is a great way to let the kids experiment in the kitchen. 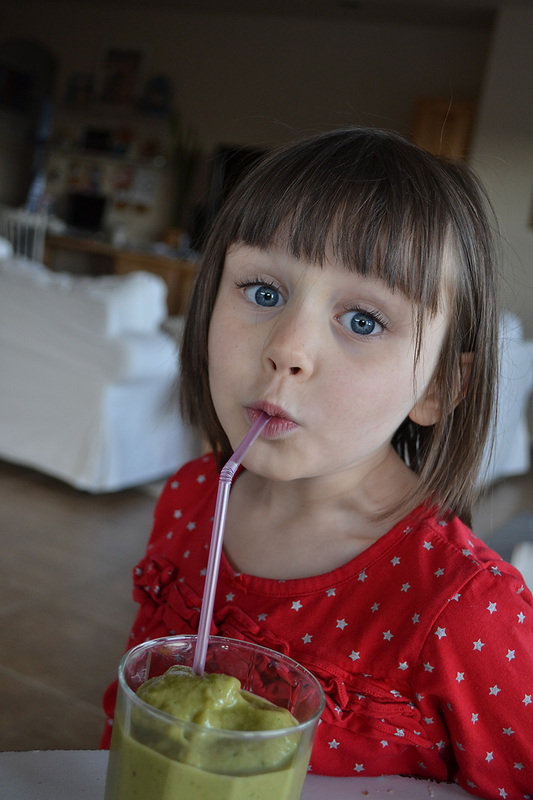 I also let them experiment with smoothies. We have smoothies a lot. And we always vary what we put in them. This week we had "swamp juice." We have swamp juice quite a bit. It's just a smoothie with spinach added to it. The kids are getting tired of me calling our green smoothies, "swamp juice." I just find it funny. Our smoothies this week included almond milk, spinach, orange juice, frozen tropical fruit, frozen bananas, and milled flax seed. The kids thought they tasted different than normal. Probably because I used plain almond milk this time and they are used to greek yogurt or vanilla almond milk. Maybe next time I'll have to add some vanilla. I'm off to play with my kiddos. We've also got to go pick up supplies for Chewy's birthday snack at school! What are you up to?